The resumption of dialogue between North and South Korea after a two-year hiatus marks a step back from nuclear brinkmanship and a diplomatic victory for South Korea’s Moon Jae-in’s engagement policy. Pyongyang has agreed to participate in the 2018 Winter Olympics and revive cross-border military communication with Seoul. This development presents South Korea with as many opportunities as challenges. South Korea can temporarily alleviate the aggressive atmosphere between Washington and Pyongyang and provide a much-needed communication channel to resolve the nuclear riddle. Yet given North Korea’s history of breaking its commitments, and the Trump administration’s hawkish attitudes towards Pyongyang, this North–South rapprochement may threaten the long-term coherence of South Korea’s alliance with the US if outcomes of the talks fall short of Washington’s expectations. The Moon administration has been struggling to find the right balance between Washington and Pyongyang in order to avert a catastrophic war on the Korean Peninsula and maintain an open door for potential reconciliation with the North. During US President Donald Trump’s visit to South Korea in November, the two presidents again affirmed their mutual goal of Pyongyang’s denuclearisation and the need to bring stability and security to Korea through close alliance coordination. However, at the same time, Moon also stresses that South Korea may 'say no to the Americans' if the relationship is lopsided, indicating his preference for more leeway in South Korea’s formulation of foreign policy against the backdrop of an unpredictable Trump presidency. The Moon administration has sought to take the lead in its North Korea policy instead of waiting for Washington to make the first move. Moon repeatedly sets out his vision for a peaceful Korean Peninsula and the possibility of denuclearisation based on a friendly North–South relationship and Seoul’s meditating role between the US and North Korea. After assuming office, Moon has continuously suggested dialogues with the North, even though Pyongyang has rejected many of his proposals. He has also made many efforts to show the US that sanctions on North Korea are working as a counterpoint to the Trump administration’s talk of a preventive attack on North Korea. The current North–South rapprochement thus represents an opportunity for South Korea to prove to the US that its engagement approach has borne fruit. Moon is likely to capitalise on these dialogues to bring North Korea and the US back to the negotiating table, and to break the ground for his 2020 deal for peace with Pyongyang in which the two Koreas would sign a peace treaty guaranteeing the survival of the Kim regime in exchange for North Korea’s 'complete denuclearisation'. Seoul’s ambition to expand the scope of the high-level talk from Olympics-related issues to the reopening of the Kaesong Industrial Complex, tourism to Mount Kumgang, and family reunions with North Korea indicates some degree of hope for the future of inter-Korean relations. However, there are risks for Moon's administration should renewed dialogue fail to bring Pyongyang closer to denuclearisation. Pyongyang has reasons beyond improving its relations with South Korea when deciding to join the Winter Olympics. North Korea wants to use this event as a way to make amends with China after Beijing enforced UN sanctions, which this month included capping oil supplies to North Korea and prohibiting the importation of North Korean steel. North Korea’s participation in the Olympics may send a message to China that it would not continue nuclear and missile tests against Beijing’s will – as it did last year – and seek to reset bilateral relations. North Korea may use the Winter Olympics and the image of Korean unity as a means of recovering its damaged international reputation and to loosen international sanctions imposed after last year’s provocations. Pyongyang may also regard the Olympics as an occasion to drive a wedge between the US and South Korea. If the Moon administration revives the inter-Korean projects of Moon’s liberal predecessor Roh Moo-hyun as a result of perceived improvements in North-South relations, the differences between Seoul and Washington over North Korea will be enlarged in the long term. Unless North Korea demonstrates a willingness to denuclearise as the US demands, the Moon and Trump administration will clash over whether to give Pyongyang an economic lifeline. It would then be likely that Moon would seek to champion his engagement policy’s gains in defiance of Trump’s hawkish and impatient approach to Pyongyang. North Korea’s history of reneging on its word should serve as a constant reminder for Moon that temporary inter-Korean engagement does not guarantee long-term success. 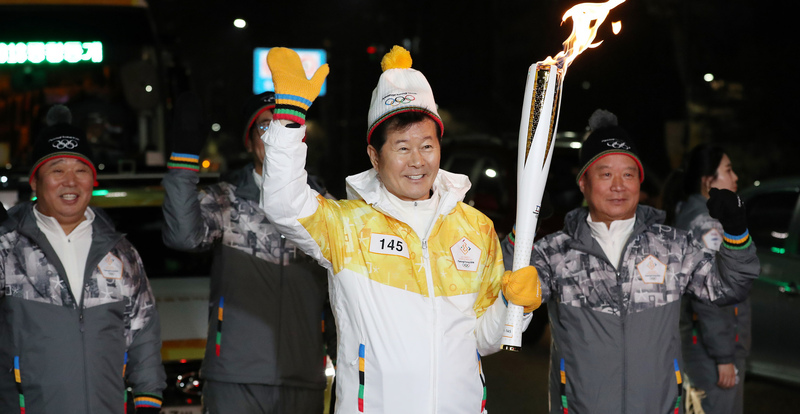 The current 'Olympic truce' is certainly a welcome start to a reduction of tension on the Peninsula after a turbulent year, but its significance depends much on Pyongyang’s sincerity.